Each book is bound in a delightful hunter green linen-finished cloth on the spine with matching khaki toned linen-finished cloth on the boards. 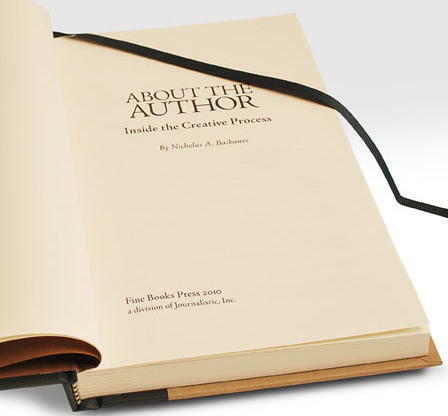 The khaki toned slipcase with the book is embossed in gold foil. The book includes a hunter green ribbon bookmark and matching headbands. The Limited Editions are printed on Mohawk Superfine smooth finish stock in a soft-white shade, and are Smythe sewn into their bindings. 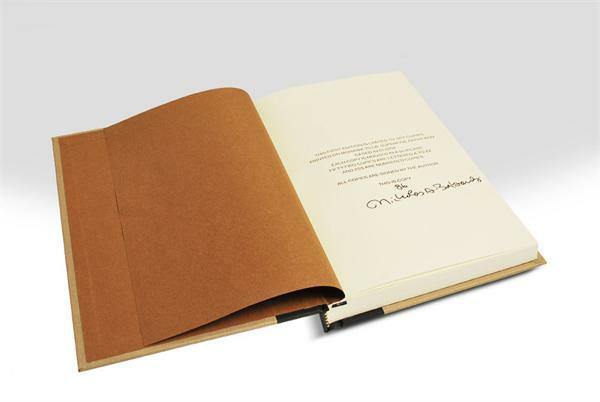 A total of 255 copies were signed and numbered by the author, and each set is sold as a matching pair. 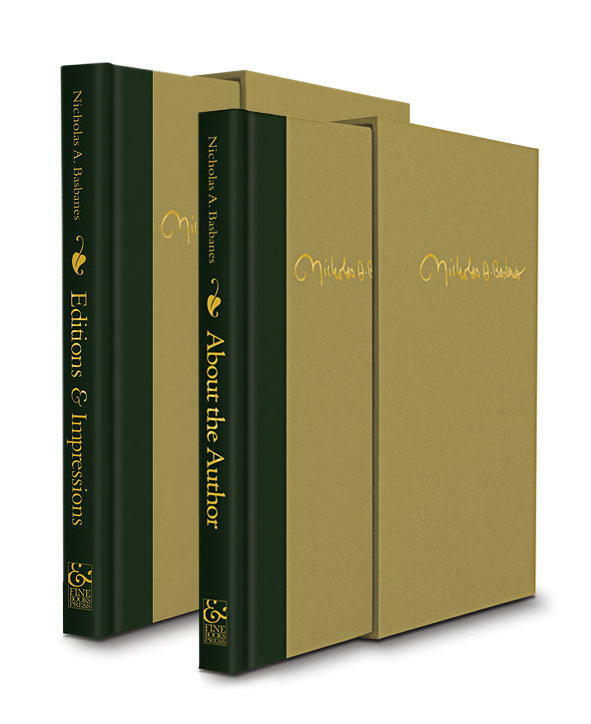 Editions & Impressions: Twenty Years on the Book Beatcollects thirty-three of Nicholas Basbaness most engaging articles grouped into three sections: Book Culture; People; and Places. Mr. Basbanes writes passionately about bibliomania, bibliokleptomania, and biblioclasms, as well as book people like Otto Bettmann, Tom Wolfe, Michael Zinnman, and others. He travels the world, visiting and reporting on libraries in Sweden, Germany, Iraq, and New York. Mr. Basbanes selected the essays in this collection precisely because they were not replicated in substantial ways in his other books. 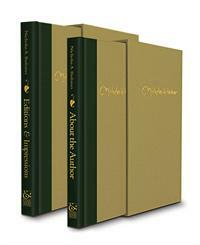 More than one-third of the essays in Editions & Impressions are published here for the first time in their full, uncut versions, and one essay and the introduction have never been previously published at all. Most of the essays include an endnote, telling the behind-the-scenes story about the article and bringing the subject up to date.